NBN Co recently released its latest 3-year rollout plan, in which 3 million households would get broadband Internet via Hybrid Fibre-Coaxial (HFC) networks, which were originally designed for broadcasting cable TV. This marked a drastic change to the previous plan, under which the vast majority of Australians would have had Fibre-to-the-Premises connectivity. Newly-appointed Communications Minister, Senator Mitch Fifield, lauded this as a policy triumph on his Facebook page. Your government’s broadband policy is based on Voodoo economics. It will all have to be chucked out and replaced within 10-20 years. Why? The coaxial cable, which is made of metal, will become the speed bottleneck due to its intrinsic physical limitations – namely, the limited frequency bandwidth and the fact that the connections are shared. None of these problems exist with Fibre. Fibre optic cable has a maximum bandwidth so incredible large, it will never be a bottleneck – increasing the top speed of a connection is just a matter of replacing the laser at each end of the link – there is no need to dig up and/or re-lay or replace cables. Can you now understand why it is more economical to spend more money now on fibre so that subscribers and taxpayers will spend far, far less later? 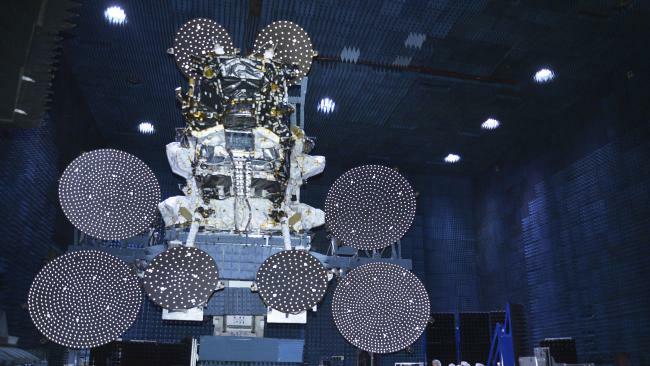 NBN Co’s Sky Muster Satellite successfully entered geostationary orbit above Australia earlier today. Satellites have a fixed maximum upload and download bandwidth which must be shared amongst all users. Satellites have a limited lifespan (often 10 years) before they need to be replaced. They are susceptible to damage by space junk and high-energy particles released during geomagnetic storms. If this new satellite is damaged, then all users will lose their connectivity. Due to the altitude of the Geosynchronous orbit, each user’s connection have a high round-trip latency of over 1000ms, making it unsuitable for many real-time and interactive Internet applications. The lower altitude substantially reduces the connection latency. In the case of CommStellation, latencies as low as 7ms are expected. The satellites are cheaper to build and launch, so upgrades are easier to deploy. Nonetheless, we welcome the successful launch of Sky Muster as it is one of the few NBN outcomes that has been delivered, and it will improve the quality of Internet connectivity to those in regional Australia and Australia’s external territories – the existing Satellite Internet offering in Australia is highly oversubscribed. During peak periods, speeds have been reported to be lower than those achievable with the dial-up PSTN modems of yesteryear. NBN Co estimates that 400,000 premises will be able to access the Internet through this satellite, which they state will be fully operational from mid-2016. NBN Co have “promised” download speeds of 25Mbps and uploads speeds of 5Mbps, which would be comparable to today’s standard ADSL2+ connections. Naturally, we believe that even with this new satellite, there will only be temporary relief from congestion. As take-up increases, the limited bandwidth will be shared amongst more and more users and will drop far below these speeds. Over the period of the Sky Muster satellite’s lifespan, Internet applications will only become more bandwidth intensive. Perhaps the alternative global LEO-based systems like CommStellation will be online by then? Domino’s GPS Driver Tracker – Who Really Invented It? MicroGeiger – a simple open-source Geiger counter which connects as a microphone.